Articulating closed singlet projection head for clear images throughout the tilt range. The 3M 1720 Plus Overhead Projector's function is as appealing as its affordability. Its 2500 ANSI lumens will illuminate your graphics, text, and images with clear brilliance as they're projected through the closed singlet wide angle projection head. The head itself articluates for clear images through a range of tilts. The durable, long-lasting construction features hardened, break-resistant stage glass, making this functional business and educational tool easy to use and maintain. The 1720 Plus's simple operation lets you set up and take down quickly, so your audience can focus on the presentation, not the projector. The lamp ejector enables quick lamp replacement when the original lamp burns out. 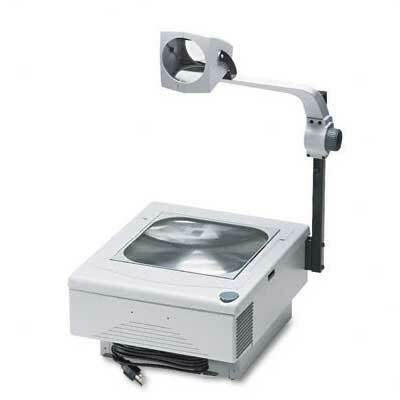 Give your audience great presentations with the 3M 1720 Plus Overhead Projector. Weight: 0.00 Manufacturer: 3M/COMMERCIAL TAPE DIV.